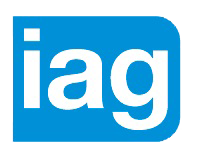 Information, Advice and Guidance (IAG) is required to enrol on any course with an IAG symbol. This is usually a pre-course interview. Contact us on 01708 434955, selecting option 1, then option 1 again to book an appointment and to find out what you need to bring with you. Call our Centre Support Team on 01708 434955 selecting option 1, then option 1 again to complete your enrolment form before you come in to complete the process. No appointment is necessary but you might have to wait during busy periods. You can enrol at our Bower Park or Brittons Centres. You will need to bring along your payment, ID, proof of address and proof of eligibility (if applicable) at the time of your enrolment. If you are unsure what to bring, please ring ahead for confirmation. Payments can be made at our Bower Park or Brittons Centres. Photo ID – This must bear your photo and your name. Proof of address – This must be dated within six months of issue. You may be entitled to concessions on some courses if you are in receipt of active work-related benefits at the time the course starts. This is subject to you producing the required evidence at the point of enrolling. The College reserves the right to confirm this is still active when the course starts. To be eligible for the 60+ reduced fee you will need to produce evidence of your age. If this is not your first course with Havering Adult College since reaching 60, you may be exempt from bringing in your ID. Our team will help you with this. Not all courses are automatically eligible for 60+ fees, so please check the fee section on a course-by-course basis. You may be required to provide your own resources for some courses. Other courses may provide all resources which will be covered by the course fee. The information on resources will be provided on the course information sheets, which are available on our website or by contacting our team.